Price of the yacht not decided yet. 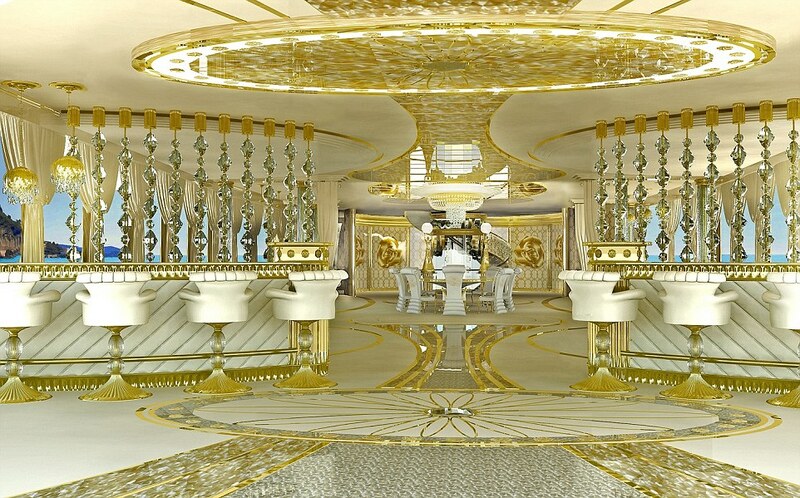 It’s sleek, in white and gold, an impressive 262ft with opulent interiors embedded with crystals, fur and flowers – and is named ‘La Belle’, meaning ‘the beauty’! 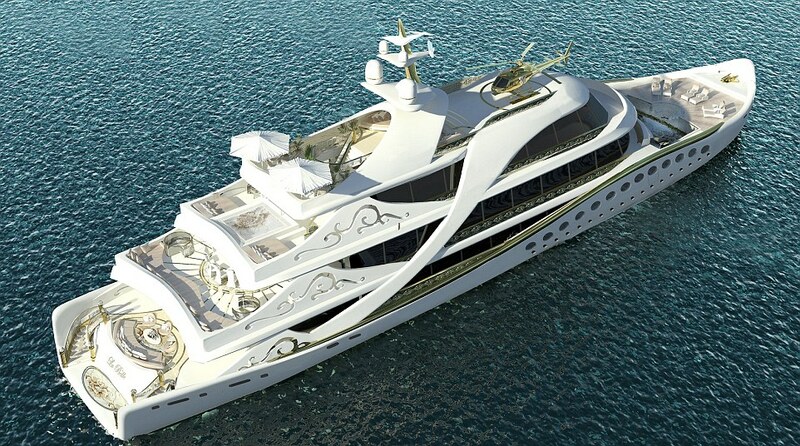 The mega yacht is the 'first luxury mega yacht designed for a lady', reports Daily Mail. Designed in five decks, the luxury yacht is not for the faint hearted. Targeted at female buyers, designer Lidia Bersani’s creation is a riot of opulent gold mosaics, mother of pearl, Swarovski crystal chandeliers, gemstones, onyx and bespoke wooden furniture, the report adds. 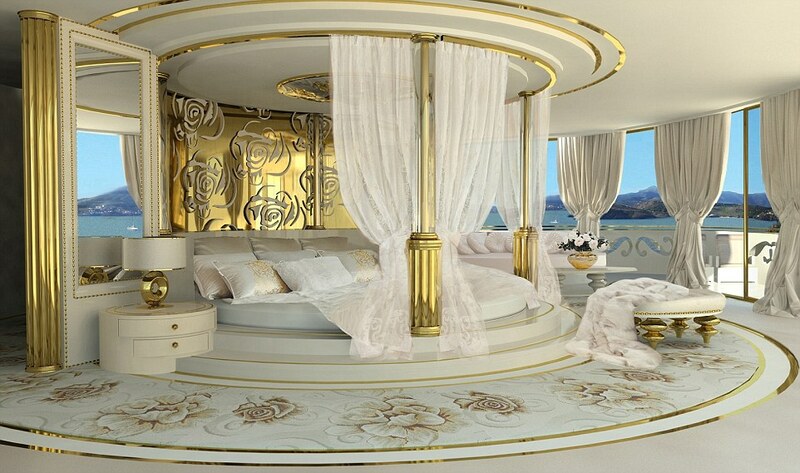 The vessel’s six deluxe cabins can comfortably sleep 12 guests. And the mater cabin on the second deck comprises a round king-size double bed, private terrace, among others. There are five more guest suits, lounges, dining places, facilities for live music, spa with hyrdromassage pool, sauna, hamman, infrared sauna, etc., and a theatre, too. And , yes, there’s a helipad on top of the vessel! Designer Bersani was quoted as saying the final price for the luxury yacht is not yet decided. “It will be not cheap, I am sure,” she added.